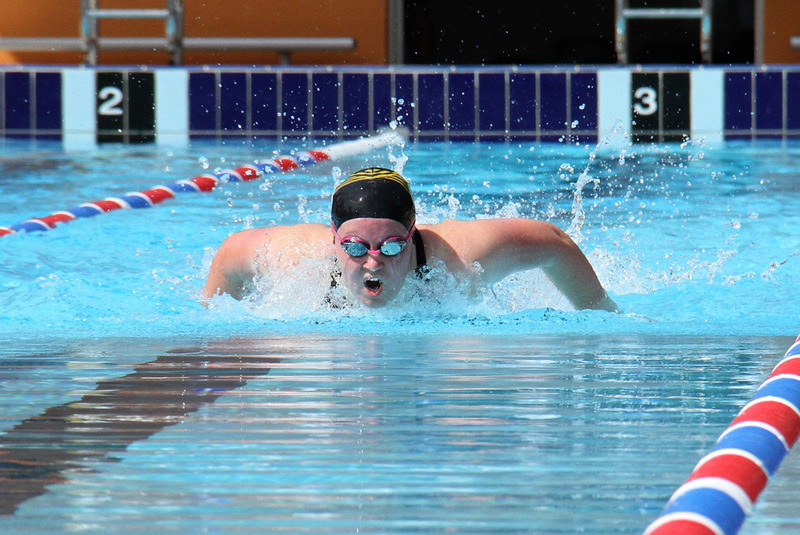 Hennessy Catholic College Year 9 student, Emily Dillon has been selected as a new member of the Swimming NSW Youth Advisory Panel for 2019. In 2017, Emily attended a Lane Ropes to Leadership camp in Annangrove. She participated in workshops on communication skills, event planning, time management, Technical Official Training, personal development and team building. She brought these skills back to the Young Swimming Club and is the 2018 Club Captain. This year, Swimming NSW hosted a Lane Ropes to Leadership camp in Wagga and Emily was invited to give a presentation about her experiences. Emily also decided to apply to become part of the Youth Advisory Panel and created a video application promoting why she would be a good selection for the panel and how she views the future of swimming in NSW. Emily was a successful applicant and is the only panel member to come from the Southern Inland NSW region. The Youth Advisory Panel assists the Swimming NSW Board to develop ideas on how to improve the current state of swimming in NSW and retain teenagers in the sport. The Panel not only advise the board, but host and run the Lane Ropes to Leadership camps each year.